Storms and windy conditions can cause all sorts of problems for trees, especially if they are not properly cared for, or anchored in a way that contributes to their stability. At Lewis Tree Service, we provide comprehensive tree care services that include every aspect of storm damage and tree recovery. Are you a homeowner that needs advice about dealing with tree recovery or storm damage? This information from the Arbor Day Foundation is chock-full of useful tidbits that will help you assess the health of damaged trees. In addition to offering storm damage services for trees, we also address many other issues that you can learn about by visiting our services page. Due to the scope of our service and expertise, we’re able to address virtually any issue related to fallen, damaged, or uprooted trees–whether it’s just one damaged tree, or an entire yard that needs some rejuvenation following a storm. 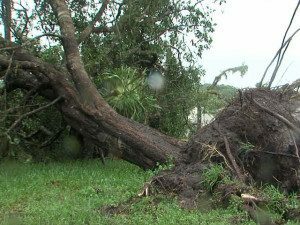 Do you have a fallen or storm-damaged tree that needs attention? Call us today at (831) 508-8995 to learn how we can help! We have more than 20 years of experience in tree care and are happy to give out FREE estimates for all services! Contact us with your questions!